From black-tie galas to birthdays, corporate events to celebrations, premieres to industry events, Eve of Elite Tarot entertains your guests with unique, fun, and above all, professional and positive tarot card readings. 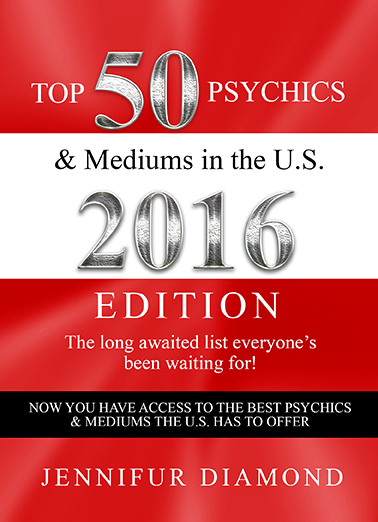 Featured as one of the nation's top psychics in the book, "Top 50 Psychics & Mediums in the United States" and heard on the Jenny McCarthy Show, Eve's readings are positive, optimistic, and empowering. Eve did a great job doing tarot card readings at my party! My guests were impressed with their feedback! Eve was radiant with positive energy! In addition, she was very professional and arrived on time. Thanks Eve! Eve joined our corporate event and was marvelous! There were so many compliments on how well she did and how much fun everyone had. She was a delight to work with and very easy to communicate with her. We will definitely consider her for future events! I so appreciated working with Eve - great communication skills leading up to the event, friendly and approachable presence, amazing stamina to go for 4 hours straight (when only contracted for 2) to accommodate all of our guests) , and flexible in adapting to the occasion (Day of the Dead celebration). It was our first time hiring a psychic and I was quite reticent - but Eve was great at allaying concerns and answering any questions. Eve was our entertainment for an event we had in our office. While I didn't have a reading done myself, I had consistent feedback that the experience was exceptional. Eve has a kind demeanor, explains the reading prior to completing it, and was able to answer lots of questions from those who did have readings. I would highly recommend Eve for any event where you may require a tarot reader. Named one of the nation’s top psychics in the book, “Top 50 Psychics & Mediums in the United States” and heard on the Jenny McCarthy Show, Eve helps executives, leaders and luminaries worldwide use energy effectively for optimal success and happiness. Eve’s readings are positive, optimistic, and empowering. She sees herself not as a predictor of specific events, but rather as an intuitive life coach with all the power remaining in the client’s hands. In Eve’s hands, there is nothing scary about a tarot card reading as it serves only as an aid to help clients achieve optimal happiness and success. "We hired Elite Tarot for a corporate event and could not have been happier. Eve was very responsive and informative when we were interested in booking, was punctual for our event and provided such an amazing service all of our employees were talking about it the next day! She helped make our event a memorable and unique one, and we will definitely be reaching out to hire her again." --S.J. "Elite Tarot was wonderful. Eve showed up early and stayed later to accommodate everyone's needs. She was friendly, warm and welcoming and the guests at the party had a great time learning about tarot readings and getting their own reading. Would definitely use her again!" -- L.S. "Eve was a wonderful addition to our neighborhood party. She was very generous with her time, was professional and friendly. Everyone enjoyed the readings very much and had only positive things to say about her. I highly recommend her. If you're looking for fun entertainment that's outside the run of the mill, Elite Tarot is perfect for you." --K.F. Eve did tarot readings at my store as in an store event and it was a total hit! Her readings were spot on, everyone loved her demeanor while giving the readings, and she was very professional and a delight to work with and plan this through. --A.I. "Eve was great! We used her for a corporate holiday party and she arrived on time, was very flexible and received great feedback from our employees! Everybody that saw her really enjoyed her and we would definitely use her again in the future and recommend her to others!" --T.O. "I recently hired Eve for several hours to do Tarot readings at a party I was hosting. Everyone loved her! She has a kind, gentle nature and made sure everyone was comfortable with the cards that they pulled. All of my guests enjoyed their readings. I would highly recommend Eve for a personal reading or for a group." --M.K. "Eve is absolutely wonderful. She was very flexible and all of our guests enjoyed their readings. We are very, very pleased. I would hire her again in a heartbeat." --A.S.
"Amazing! Could not have done a better job. Highly recommend!" --B.S. "Eve was our entertainment for an event we had in our office. While I didn't have a reading done myself, I had consistent feedback that the experience was exceptional. Eve has a kind demeanor, explains the reading prior to completing it, and was able to answer lots of questions from those who did have readings. I would highly recommend Eve for any event where you may require a tarot reader." --C.R. "Eve was fantastic! We hired her for a Halloween party at our home. I was worried that our guests would be uncomfortable having their cards read, but she was the hit of the party! Guests were lined up in a queue all evening, and each one came out of their reading with a positive comment and experience. I was too busy hosting to have my turn, but in my dealings with Eve in coordinating the event, she was very professional and friendly. Highly recommend!" --A.C.
"I so appreciated working with Eve - great communication skills leading up to the event, friendly and approachable presence, amazing stamina to go for 4 hours straight (when only contracted for 2) to accommodate all of our guests) , and flexible in adapting to the occasion (Day of the Dead celebration). It was our first time hiring a psychic and I was quite reticent - but Eve was great at allaying concerns and answering any questions." --J.R.
"Eve was SO great!!!!! We hired her for a bachelorette party and she came to our house and did a reading for all 12 girls! She was awesome, positive, and professional, not cheesey at all -- everyone loved it!" -- B.S. "Eve was great! She was such a hit at my party. She took the time to give everyone a reading, and even agreed to stay beyond her scheduled period. I highly recommend her!" --J.H. "Thanks so much again for a fun night and great readings. All of the guests loved them and it was such a great addition to the party!" -- S.D. 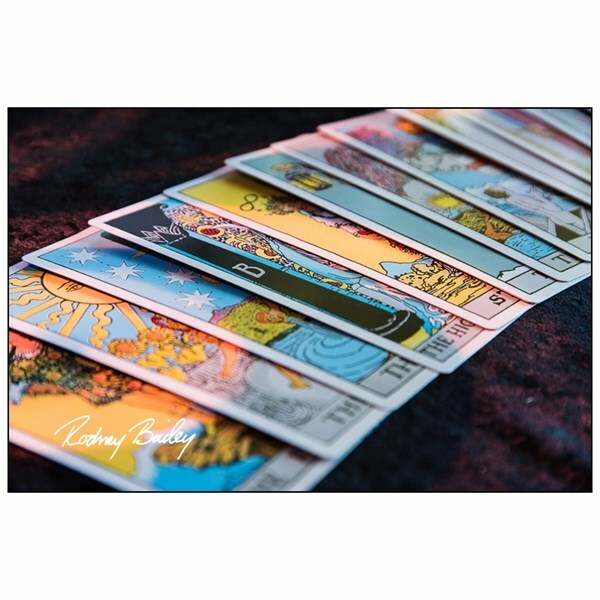 "I hired Elite Tarot for a business/client event and it was a big hit! Most everyone participated (even the skeptics) and the feedback we received was all positive. Eve made everyone feel comfortable and it was a memorable experience for all. I would definitely hire her again." --K.K. "Eve joined our corporate event and was marvelous! There were so many compliments on how well she did and how much fun everyone had. She was a delight to work with and very easy to communicate with her. We will definitely consider her for future events!" --N.M.
"We had a lovely experience and my guests were thrilled with her knowledge and skill. I would definitely hire her again!" --S.J. Being very portable, Eve just needs a table with 2 chairs located in an area where guests can easily hear the readings.